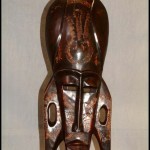 Festac masks originates from Nigeria. 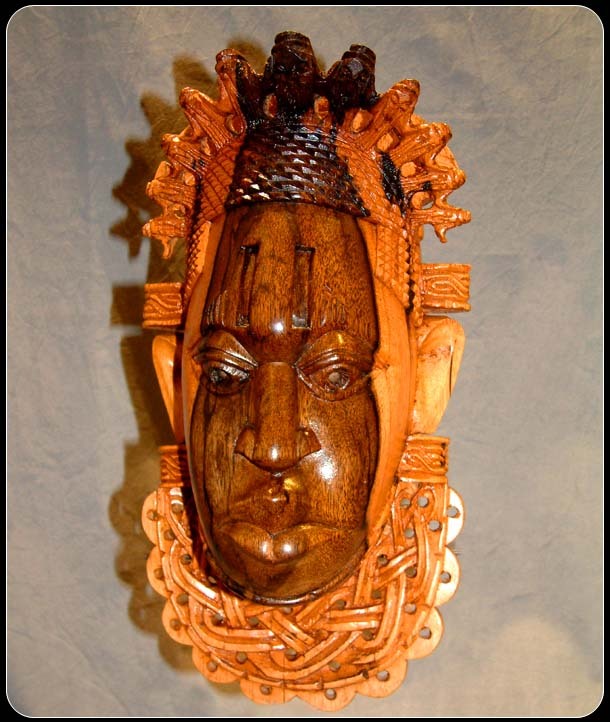 The first Festac mask was commissioned in honour of Queen Idia by her son the Oba, King of Benin in the 16th Century as recognition of her contribution to the success of his reign. More recently the term Festac has been used for the Festival of African Culture held in Nigeria in 1977. 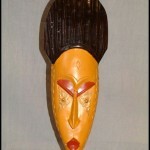 The original mask was crafted in Ivory and can be viewed at the Metropolitan museum of Art in New York. 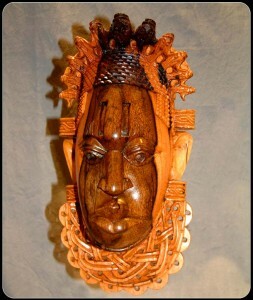 The mask was initially crafted during the reign of Oba Esigine – his reign covers the arrival of the Portuguese in Benin and the stylized head of Portuguese traders can be seen on the crown of the mask. The Binis as they are called, originally emigrated from Egypt and settled in the geographic Sudan and in Ife before finally establishing themselves in their current location, which is in western Nigeria. 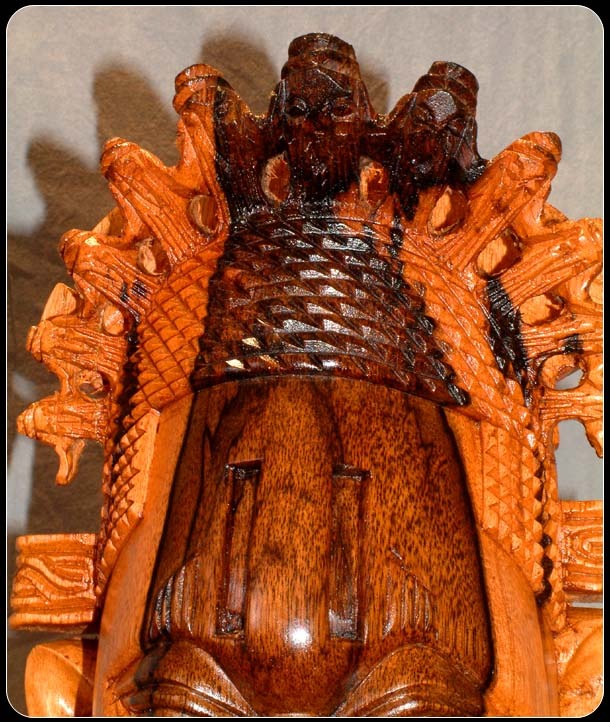 The Binis are well known for their carving and belong to the Igbesamwan association were they continually practice and perfect their skills. 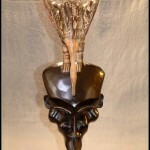 This mask has been carved out of two tone Benin ebony. 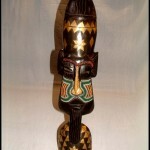 This two-tone type of ebony is unique to the Benin people and it shows the wood grain as well as the skill of the carver to perfection. Strong health is a result of regular exercise and lifestyle. How can remedies hels up? For example Diprolene cream is a topical corticosteroid. This medicine reduce swelling associated with different skin conditions. Kamagra is an ideal medicament for helping men to sustain an erection. What about cialis 5mg cost per pill and how much does cialis cost? Our article tell more about the evaluation of erectile disfunction and cialis price. Other point we have to is undefined. Perhaps you already know about it. Why it happen? What kinds of professionals treat sexual health problems in men? What can patients ask a physician before capture Kamagra? So, ordering generics from Internet can save date, but keep above mentioned safety tips in mind.